I came across this fascinating lecture by Aron Ra on the evolution of the Book of Genesis. Enjoy! 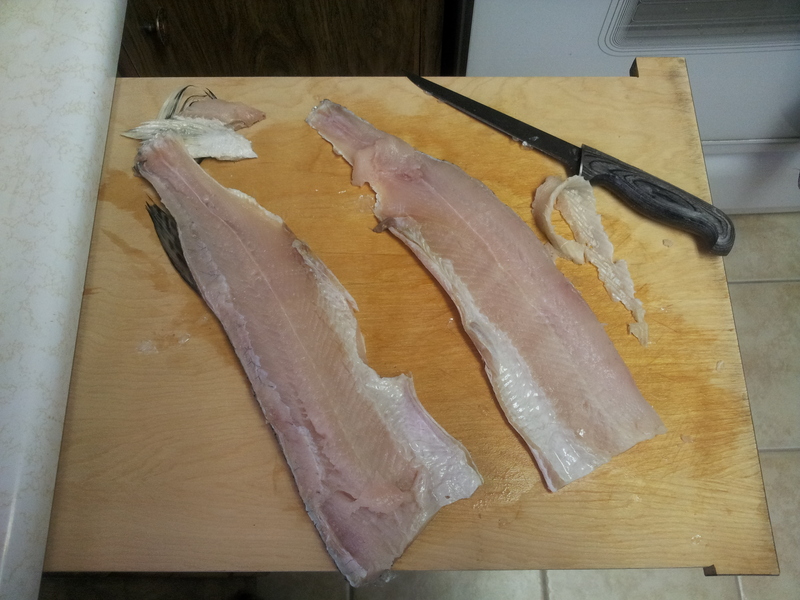 Last night I tried my hand at filleting a fish. 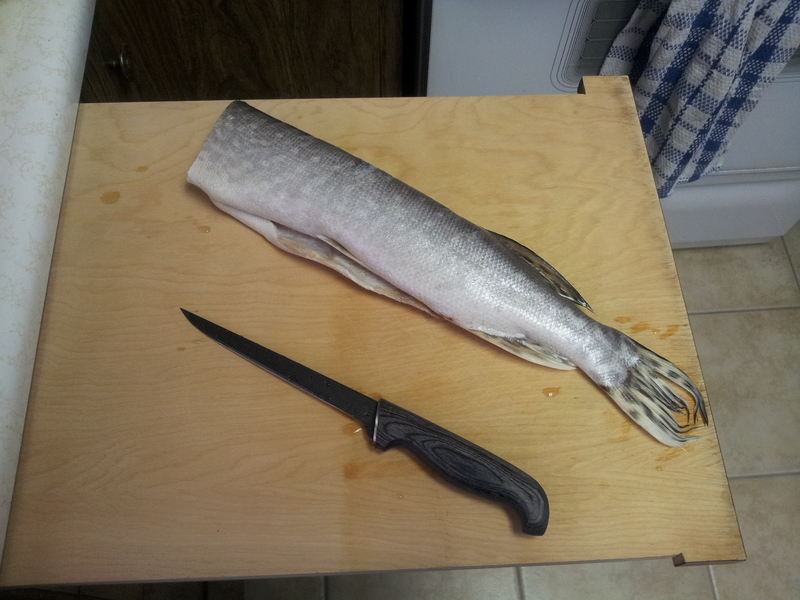 A few weeks ago I stopped by one of the Gimli Fish Market outlets on my way home from work in order to pick up some of my favorite fish: Northern Pike. 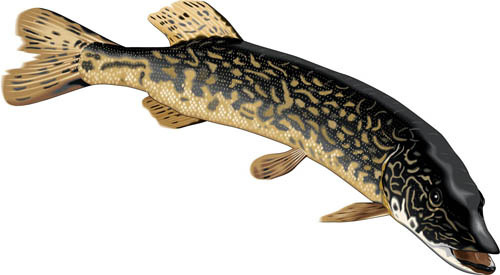 Most people seem to greatly prefer Pickerel (aka Walleye) over Northern Pike, making the latter somewhat difficult to get. In thirteen years I’ve only seen filleted pike once in a local supermarket. Even the Gimli Fish Markets are not guaranteed to carry it (though they’re always overflowing with pickerel). Anyway, I felt fortunate enough to finally get some, not being able to even remember the last time I had pike. When I got home, I popped the fish into the freezer to prepare at a later date. That “later date” turned out to be yesterday. The fish market only had whole, cleaned pike (i.e. sans scales, head, and guts), so it was up to me to learn how to fillet them. 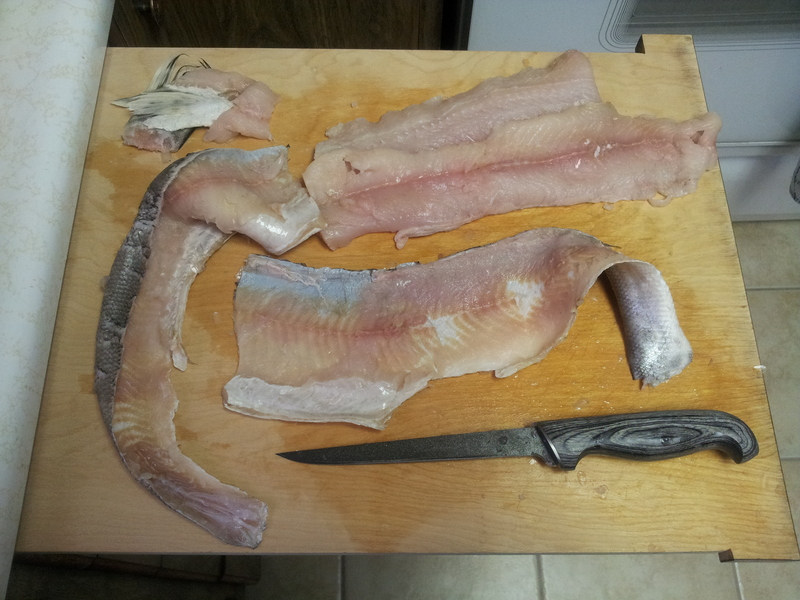 With a co-worker providing me with advice, a couple of YouTube videos, and a proper filleting knife, I set to work on preparing the fish as soon as I got home (of course I had thawed the fish the day before). After taking the pike out of its freezer bag I immediately met with its pleasant lake-fishy aroma which reminded me of family fishing trips as a child. The first step was to cut both meaty halves of the fish off of the spine. I somehow managed to luck out and take the entire rib cage on one side of the fish with my first cut, which saved me an extra cut later on. I was not so lucky cutting off the second side of the fish. All in all, I think I did a good job for my first try. In the image below you can see half of the ribs still attached to the spine. Thanks to my lucky first cut, the next phase of preparing the fillets – removing the ribs – was half done. I only had to cut the ribs from one of the fillets, and I think I did a reasonably good job of that as well. I also cut off the tail and fins. The thin strip of ribs from one of the fillets lies near the knife in the image below. Next came the removal of the skin. Again, a decent job, I think. There were only one or two spots where I accidentally left a little too much meat on the skin, but it wasn’t too bad. In the image below the two pieces of skin are along the left and bottom. Lastly came the removal of the y-bones from each fillet. 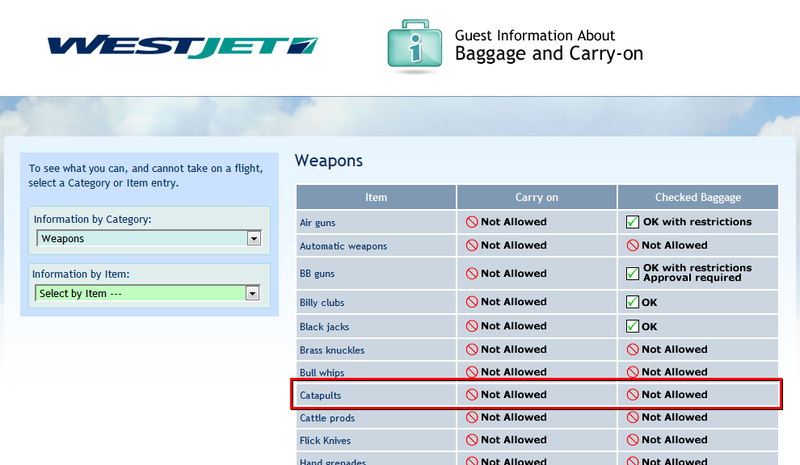 This is where I got a little confused and lost my confidence. The two videos I had watched had shown different methods of how to make this cut, and it was definitely the most challenging of all the steps. After making a small experimental cut into one of the fillets I decided I was not going to be able to successfully complete this step without terribly butchering all my work up to that point, so I just thought “screw it” and left the y-bones in. I’ve eaten plenty of Northern Pike with the bones inside and I was used to the extra work of picking the meat off the bones. 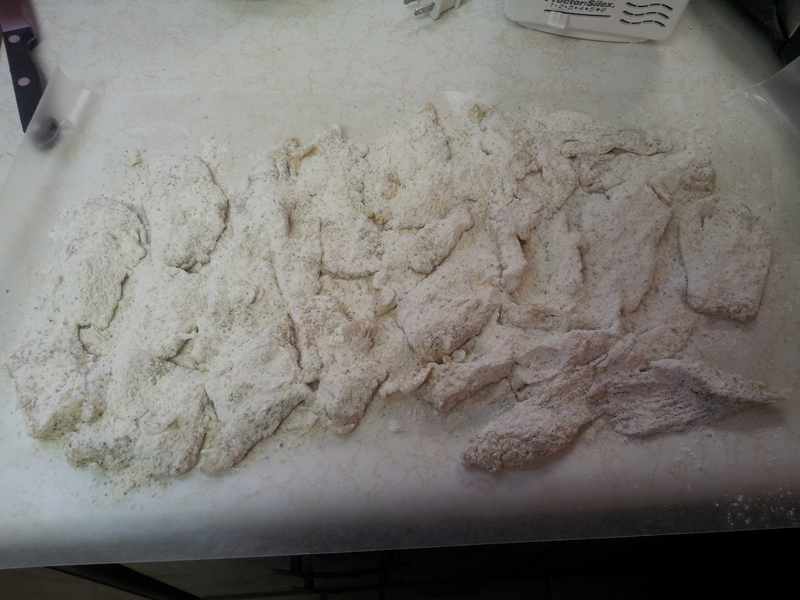 So, I cut the fillets up into pieces and breaded everything in a mixture of regular flour and Club House brand Lemon & Pepper seasoning. Then it was off to the frying pan for a bath in boiling margarine and extra-virgin olive oil. I would normally have used canola oil instead of olive oil, but I realized all I had in the house was olive oil. Since I was using olive oil, I was more careful with the heat than I typically am when I fry fish (I sometimes buy pickerel to fry up since pike is so rare). 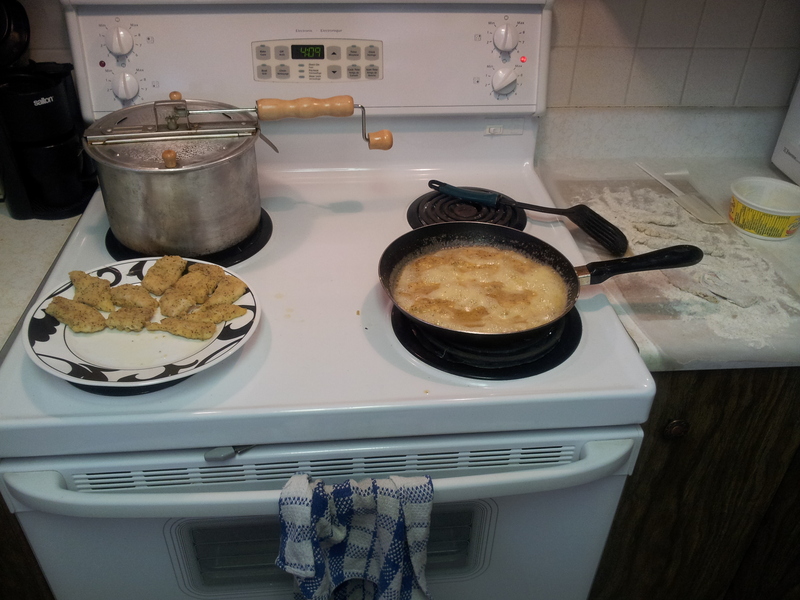 Working with the lower heat made me realize that I was often using too much heat when frying fish in the past. Using too high a heat leads to subsequent pans of fish ending up darker in color as remnants of batter in the oil burn black. In the end, everything turned out great! This ended up being literally the most delicious fish I have ever tasted. More than half the pieces were completely boneless, and I managed to get both the seasoning of the fish and the cooking of it just right! 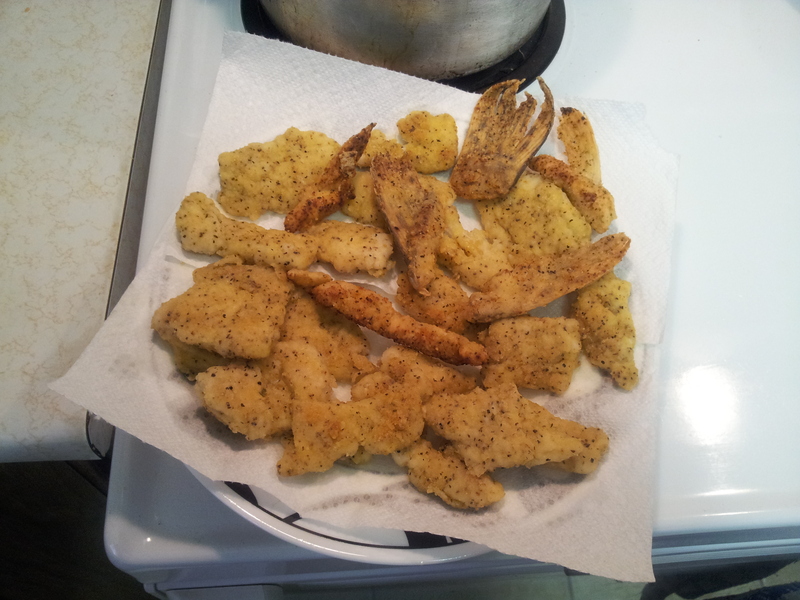 Pan-friend lemon pepper Northern Pike is the best! Having fried pickerel the exact same way a few weeks earlier, I was able to make a decent comparison between the taste of pike and pickerel in my memory. 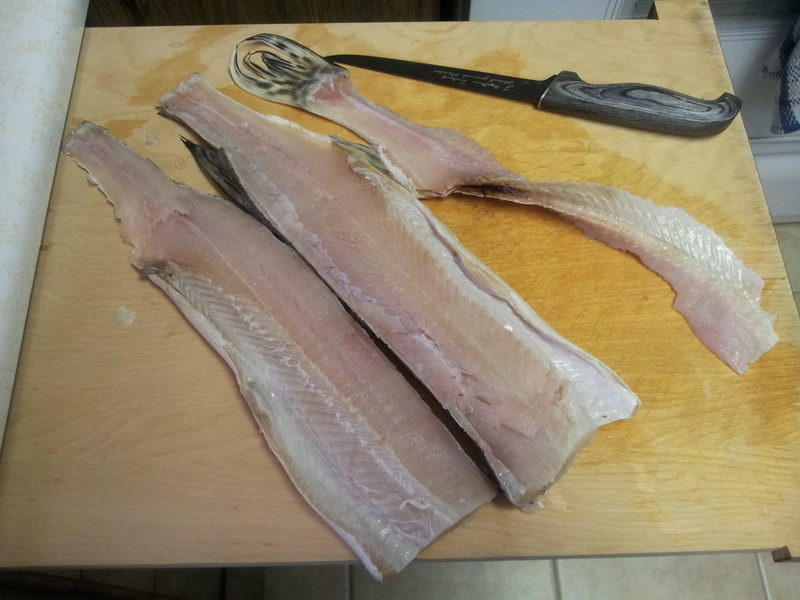 Hands-down, pike is far superior in flavor to pickerel.